Emergency Disaster Clean Up & Debris Removal | 1800-GOT-JUNK? When extreme weather causes damage to your home, 1800-GOT-JUNK? is ready to help. Our business is equipped with satellite communications and GPS technology, so we can continue to operate even when essential services are down, making 1800-GOT-JUNK? the most reliable rubbish removal service around. We’re able to clean up debris caused by weather events quickly and efficiently. We can take any non-hazardous items that two people can safely lift. As always, 1800-GOT-JUNK? promises to handle all of the rubbish in an environmentally friendly way, even when the environment has been less than friendly. Items that can be recycled or donated will be disposed of properly. Plus, as a worldwide organization and admired brand, you can have the peace of mind that 1800-GOT-JUNK? prices will not be inflated when demand for disaster clean up is highest. 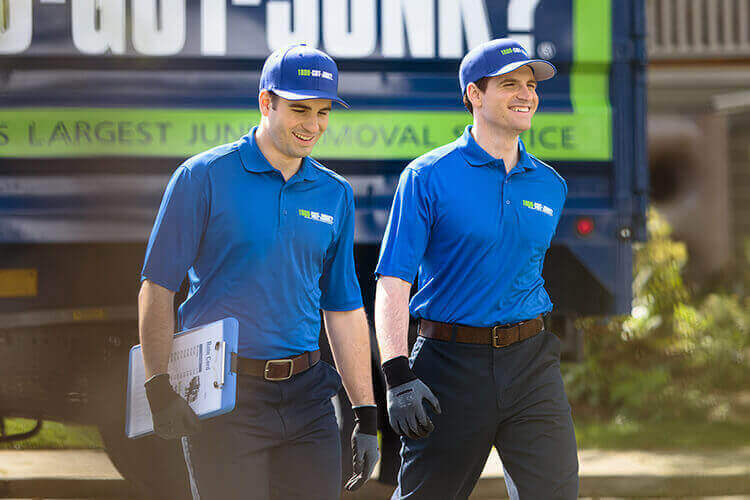 If you need help with cleaning up your home or property, simply call 1800-468-586 or go to 1800gotjunk.com to book an appointment today.